Touch panel PCs are user-friendly industrial computers. Where a MacBook is the Ferrari of consumer PCs, the touch panel PC is the Humvee — battle-ready armored-for-everything version, custom fit for the mission. Touch panel devices empower businesses to manage complicated machinery, the systems precision designed to operate them and the large volumes of data most companies generate and acquire. These are used in consoles, switchboards and control cabinets and make operating, monitoring and programming the complex simple, which all means more profit. From its very name because of a display, typically an LCD, touch panel PCs are incorporated into the same enclosure as the motherboard and the other electronic components of the computer. The displays are panel mounted and often touch-screen for maximum user-ease. Such devices are low-cost versions with no environmental sealing and more expensive heavy duty models that are sealed and encased to the highest standards of durability. These can be made to withstand floods and even explosions. That means fewer breakdowns. Unlike consumer PCs, these panel devices are built for reliability and durability, long-term operation, and for compatibility and expansion to meet the evolving business needs. Energy efficiency has never been more critical. Although touch panel computers may be more expensive initially, savings on electrical consumption usually more than covers the added cost over the lifespan of the system, which is typically 5 years. Where panel equipment power consumption can be 35W, commercial PCs are at least 300W. That’s because touch panel devices use new low power CPUs from Intel or AMD. These processors not only reduce the electricity needed to run the computer, they also generate less heat, which further cuts electrical costs by minimising cooling and air conditioning requirements. Custom-designed touch panel computers don’t require the power and space desktops do. Standard PCs have expansion slots and have to be capable of powering whatever peripherals a user may choose. Touch panel devices are custom designed for the job in hand. That results in a compact design and minimised power consumption. The compact size not only saves on workspace but additional hardware costs. Most touch panel computers do not use a retail OS or operating systems like Windows XP or Vista. 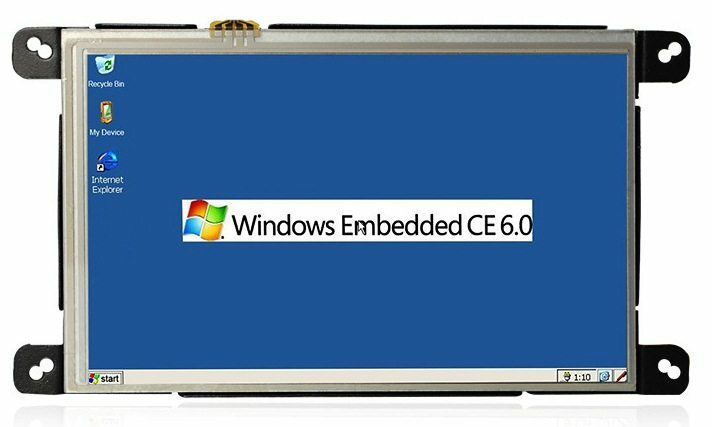 Instead, they use an embedded operating system such as Windows CE or Embedded Windows XP to operate specific functions tailored to the specific business. This helps maximise productivity and efficiency. 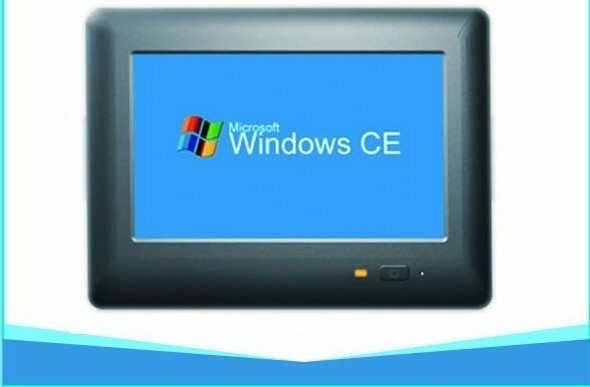 Developed by Microsoft, Windows CE is designed for the embedded computer systems of touch panel processors. It has similar applications to other Windows operating systems, but can be customised to manage specific processes and machinery. Because it consumes less than a megabyte of a memory, it can fit in the system’s ROM or Read-Only Memory. Embedded Windows XP is a custom operating system built from the components of Windows XP. It is designed to dramatically improve the security and stability of the embedded computer system. Its component system makes it easy to build fixed-function devices and makes it easier to reduce security risks by using the design of run-time operating systems with limited surface area. OS Upgrade for Touch Panel Devices – Is it possible? Each time a new OS is launched in the market, new features are also included – requiring more disk storage and faster CPU performance. As a result, the CPU runs hotter and requires advanced power management to control the higher levels of heat and greater power demand. As many businesses run in harsh environments of extreme temperatures, an OS upgrade may be needed to meet the needs of the specific business processes or keep up with the latest technological advances. Upgrading an OS for touch panel PCs has its costs, but again, these devices can save other costs and improve efficiency and up-time, all of which increases profitability. In so many ways, touch panel computers help many businesses today. Consider how it can help yours.